It came down to one last swing in Game 6 of the 2018 Little League Baseball World Series. 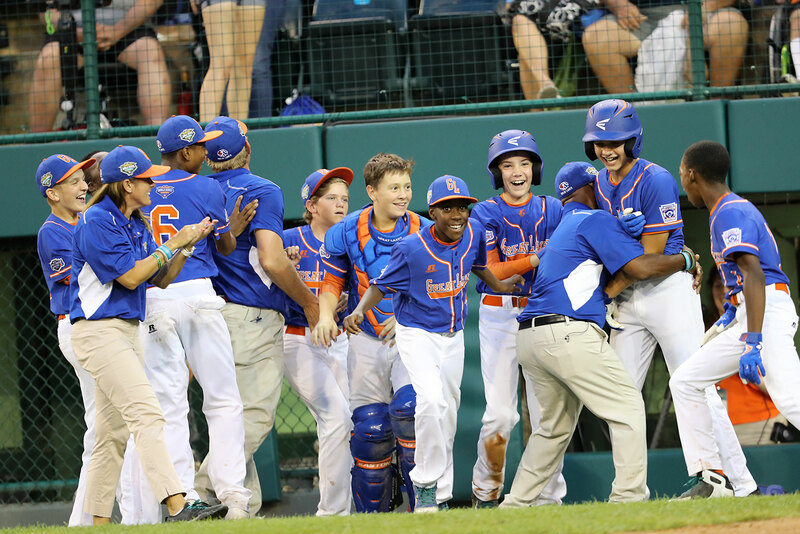 With the game tied, 4-4, in the bottom of the sixth inning Ryan Knaebel, singled on a 3-1 count, scoring one run that gave the Great Lakes Region Champions from Grosse Pointe Woods (Mich.)-Shores Little League, a 5-4 come-from-behind victory. Coeur D’Alene Little League, the Northwest Region Champion, scored three runs in the second inning. The Northwest offense was keyed by Caden Symons and Avrey Cherry, who each drove in runs. Preston Barr was credited with the mound victory for Great Lakes. He surrendered no runs on two hits over 3 1/3 innings, striking out two and walking zero. Cameron Schafer threw two-thirds of an inning in relief out of the bullpen. Braeden Newby took the pitching loss for Northwest. He lasted two-thirds of an inning, allowing four hits and four runs, while striking out two and walking one. Christopher Reynolds started the game for Northwest. He went 4 2/3 innings, allowing one run on three hits, striking out 11 and walking one. Brennan Hill started the game for Great Lakes. He allowed three hits and three runs over two innings, striking out three and walking one. Great Lakes racked up eight hits in the game. Knaebel and Barr all managed multiple hits for Great Lakes. Newvby went 2-for-3 at the plate to lead Northwest in hits.